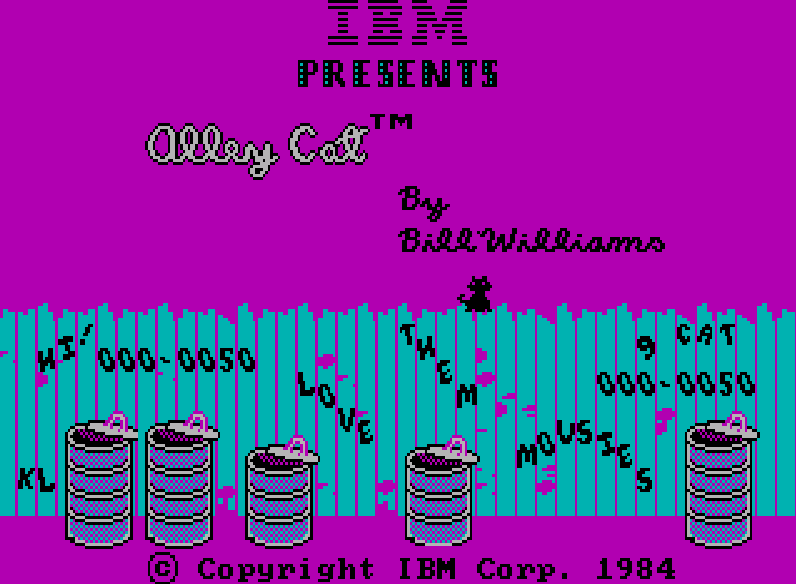 Alley Cat is very old game. I mean since 1984 published from IBM. You are a cat and you must hunt a mouse. But it’s not so simple. On the street, they run the dogs, and you have to hide the garbage. For playing old games you need DOSBOX.